Point being, I'm offering up this salad, which may seem a bit summery if you're living in a place where the weather has already turned cold, or in the words of my grandma, "absolutely miserable." And if that's the case, you may not be in the mood for such a delicious, refreshing, and hearty salad. And so, for those of you, I apologize. That being said, this salad could make a case for itself to be enjoyed year-round. The bread is the real star anyway. In fact, if you're tempted to make this yourself, the only elements I would beg you to keep would be the bread, parsley, cucumbers, olive oil and lemon juice. But even if the weather refuses to change, other things are. I'm teaching a couple of classes (still a few spaces in the blogging one! ), my best bud Mary Anne returns from her trip abroad so that we can continue our daily communication, and my mom got me the ice cream attachment for the KitchenAid. Yes, yes, and yes! Preheat the oven to 350F. 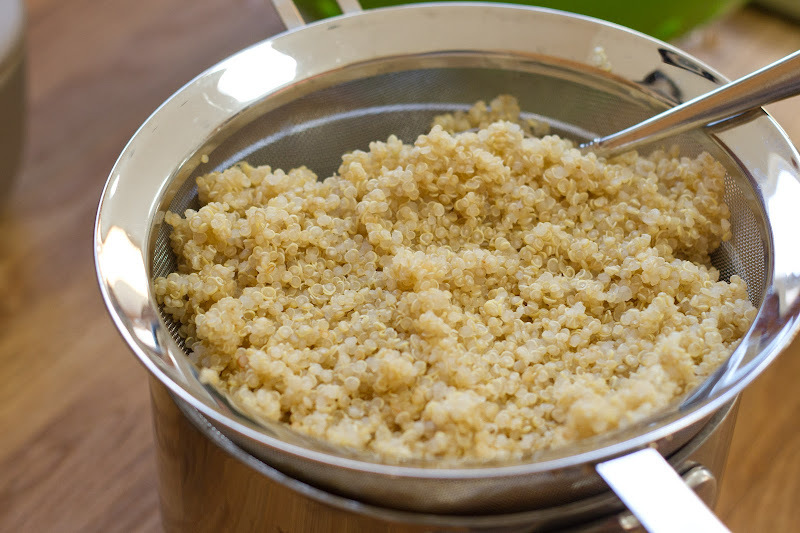 Place the quinoa in a saucepan of boiling water and cook for 9 minutes, or until tender. Drain in a fine sieve, rinse under cold water and leave to dry. Brush the bread with a little bit of olive oil and sprinkle with some salt. Lay the slices on a baking sheet and bake for about 10 minutes, turning them over halfway through. The bread should be completely dry and crisp. Remove from the oven and allow to cool down, then break by hand into different-sized pieces. Cut the tomatoes in roughly 3/4-inch dice and put in a mixing bowl. Cut the cucumbers into similar-size pieces and add to the tomatoes. 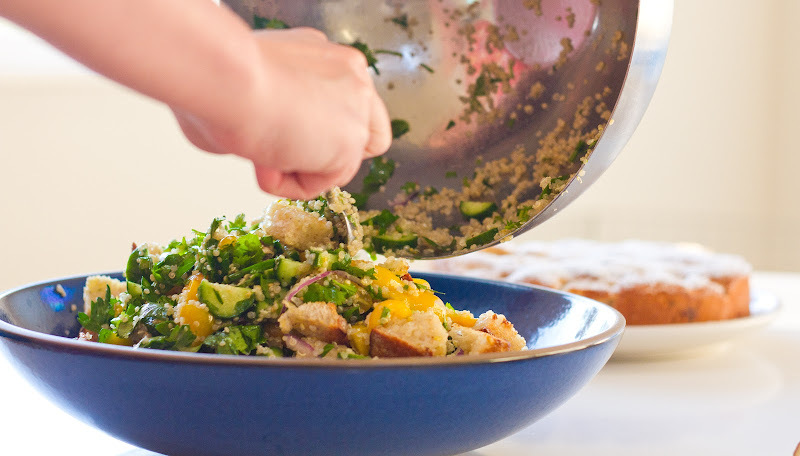 Add all the remaining ingredients, including the quinoa and croutons, and stir gently until everything is mixed well together. Taste and adjust the seasoning. The texture combination in this salad sounds great! 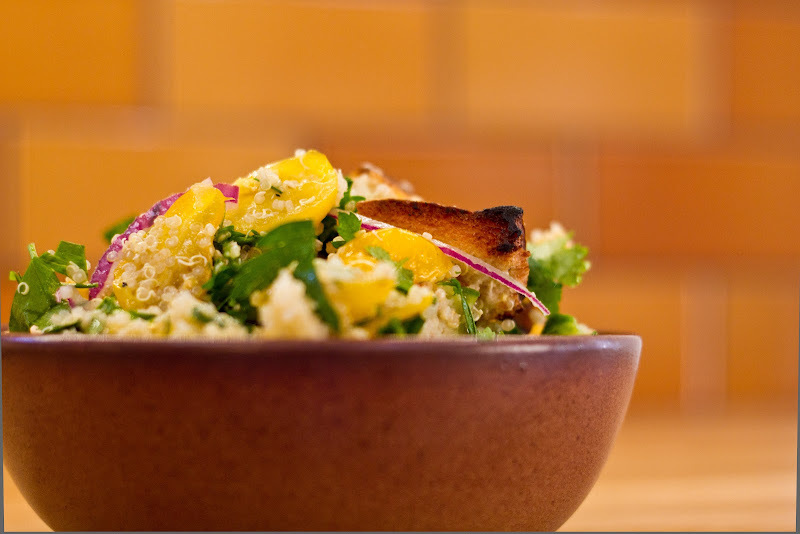 Crispy bread and toothsome quinoa--perfect. Nice! 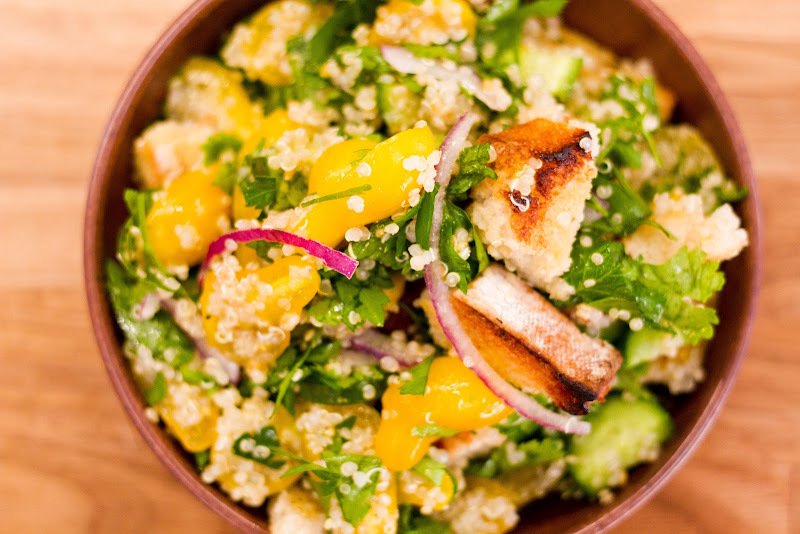 I usually don´t like quinoa but that looks really good! Yum. Love carbs in a salad. This looks delicious. Even though it's a bit chilly and raining today, I'm glad October feels like October here in Charlotte. At least for today. Loooooooove quinoa, and sourdough. Could not agree with Kristen more about carbs in a salad. I'm going to make this for my mama on my visit!!! Want this. I can imagine some gluten-free eaters grumbling about the addition of glutenous [toasty, delicious] sourdough bread to quinoa, but I, for one, fully support the idea. 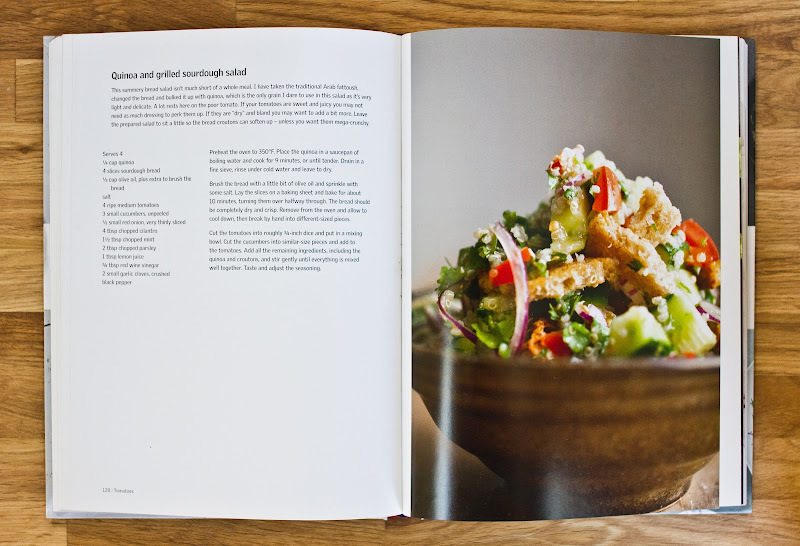 That Ottolenghi is a genius. this look right up joanna's veggie alley. i need something to replace all the kale i can't stop eating. LOVE this idea!! Thanks, Melissa.